Many people who are interested in opening their own business and becoming their own boss often wonder what the advantages might be of investing in a franchise opportunity. Following are ten reasons why buying a franchise may translate into the long-term success of your investment. Robust Industry: Many franchise systems offer services that are in high demand. The children’s segment of the recession resistant Hair Salon Industry is one such example, It's currently worth around $19 billion. To date, there are around 45 million kids in the Shear Madness age group – and this is expected to grow by about 7 million by the year 2020! A Record of Success: Franchisors will have a proven record of success. Through years of experience marketing to their customers, they usually understand what works - and what doesn't. Through becoming a franchisee, you automatically gain this valuable business advantage. 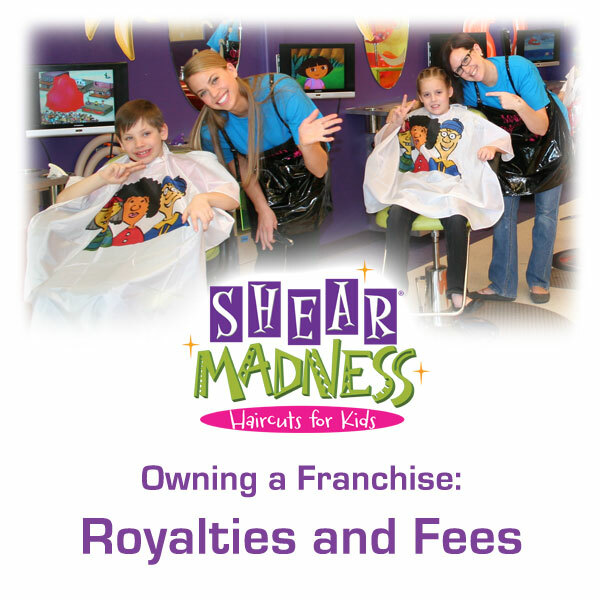 When an individual buys into a franchising opportunity with Shear Madness Haircuts for Kids, they won’t be going at it alone. Our team excels at being a partner who wants our franchise owners to succeed! Learn more tips on how to achieve success from our team of business experts by downloading our free resource below. Own a Franchise - What about Royalties & Fees? So, just what exactly is a Franchise fee? How about Royalty fees? What does a franchisee get by paying a franchise fee or royalty fees? For those who are investigating a potential investment into a franchise system, these are important questions. Think of a franchise fee as the right to use a brand that has been built up over the years, and has many tried and true systems behind it that are designed to help a new franchisee succeed in running their business. Most new businesses go through a period of trial and error when building a following. This period uses lots of working capital and time. When buying a franchise you are avoiding many years of this learning curve. Many times the Franchise Fee may seem expensive, but in the long run it may actually be a bargain for the time and money it will save you! Royalty fees are those payments a franchisee might send each month in order to continue receiving the benefits of belonging to the franchise system. For example, these fees not only pay for the rights to use the logos and trademarks of the franchisor's system, but also access to services that are designed to help a franchisee develop their location (demographic information, architectural assistance, site visits, fixtures, signs, and sources for equipment). Franchisees also may receive training, access to software to help run their business, access to advertising outlets (social media, publications, etc.) and access to the franchisor's marketing and graphic design department (which can help deliver customer flyers, ads, artwork and more). The royalty also gets you the keys to contacting other business owners who are trying to do the same things that you are trying to do - which can save you time and effort. For example: What is working, what isn't, how can we take something and make it better? New ideas are sometimes being tried throughout the system, and you'll have access to the success and failure rate of those new ideas. A good franchisor will also use these fees to grow the system through research and development (in order to stay competitive), monthly meetings, and the continued development of training and operational resources. Software programs, management and cost saving systems are additional areas where the fees are used. It's also important to remember that every franchise system is a little different. Depending on the industry, the types of services a franchisor may provide could vary. Also, size could play a factor. For example, while a smaller franchise system may not be able to offer some of the services much larger franchisors can offer - a smaller system can provide a level of personal service that the bigger systems can't. However, if you really want to understand what you're receiving from the franchisor, be sure to read your franchise agreement. This will detail exactly what the franchisor will provide for you. And if there's something the franchisor said they would do, but it isn't a part of the franchise agreement, you may want to discuss it with them. Also be sure to refer to the Item 11, a document that outlines services the franchisor provides. In the end, a franchise fee could be looked at as a kind of investment into the future success of a new business. By having access to years of knowledge and experience, a franchisee may take comfort in the knowledge that they won't be wasting time and money or processes that just don't work. And even more importantly, they'll have a friend in the business who is there to help them succeed! If you are wanting to learn more, our Franchise Buyers Toolkit in an excellent resource - and it's Shear Madness Haircuts for Kids free gift to you! Click below! Is there More to Franchising than the Franchise Fee? When investing in a franchise a buyer will most likely pay a franchise fee there is a LOT more to franchise ownership than this fee. Our franchise development director says that "What is the Franchise Fee?" is the most common question asked by a potential investor. While this is one of the considerations it is definitely one of the least important items to look at. How much training is included with this fee? Every system has different training, some may be at the franchisor's office, some may be online, and some may be at your place. A detailed outline of the training you should receive is included in the Franchise Disclosure Document in Item 11. What items are provided? Do you get manuals? Most often you should get a Pre-Opening Manual and then also an Operations Manual. There may be other items that are neccesary to your business - which of those are provided and what must you pay for going forward? Access to other franchisees or management? What kind of ongoing support is offered with the system? While these are the items to check the value of the franchise fee probably the most important thing that you are paying for is the learning curve that the franchisor paid for with years of previous experience. This is what you need to find out about. There are franchised companies out there with huge differences in the amount of experience they have in operating the concept that you are buying. There are actually companies out there seek out new businesses to franchise. These are usually companies that market franchises. They charge the franchisor the fees to do the legal and set up work to make them franchisable and then also charge them to do the marketing. If the franchisor does not have many years of operating history they will still be learning as they are also franchising - this is can be a dangerous combination! The learning curve is the MOST valuable asset that you aquire when investing in a small business franchise! 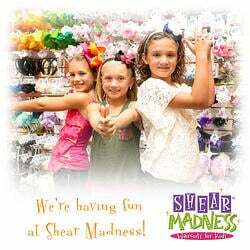 At Shear Madness Haircuts for Kids the operating history was 13 years before franchising. Most successful "new" franchises have suprisingly long operating histories. Five Guys Burgers and Fries seems newer, however they have been in business since 1986, and began franchising in 2001! Starbucks began opening coffee shops in 1985, and Papa Murphy's Pizza opened in 1981 and started franchising in 1995! As companies grow they have successes and failures this is normal. When you invest in a franchise most of the franchise fee is for the avoidance of those failures! Those failures may have cost the franchisore hundreds of thousands of dollars. This alone can make the franchise fee a real bargain! Investing in a small business franchise system can be a great opportunity. If you would like to receive a FREE whitepaper designed to help when evaluating ANY franchise click on the link below. Franchise Definition - the absolute basics of the madness! You are doing what!? That is the question we heard most when we told our friends and family that we were franchising Shear Madness Haircuts for Kids. What is franchising? Are you MAD? It was obvious that though there are franchises every where we do business, that most people have no idea what a franchise is. A franchise is a business model. When a business owner decides to expand his business he has options. One of those options is to franchise. Franchising allows others to own their own company yet use the name, logo, and systems of the franchise business owner (the franchisor). He doesn't not have to come up with his own YOU-nique business idea. He can use the systems that have already been developed and used successfully by another shortening the learning curve. He gets "Super Natural Support" & training with a business partner who knows and cares about the success of his new business. If the franchise system is progressive, he does not have to worry about "the Ongoing Labwork" needed to develop the concept further and keeping up with trends as the franchisor will worry about that for him. National advertising is done for him. As the system grows the name brand recognition grows without the franchisee having to open more locations himself. When a franchisee is ready to sell his business he has a partner in this process and a recognizable asset to sell. What does the franchisor get? The franchisee pays the franchisor an initial franchise fee for the training, systems, logos, etc. of the franchised business. The franchisee pays an ongoing royalty - which is usually a percentage of sales for the continuing developments of the franchise and ongoing support of the franchisor. Why would a Business choose franchising as a way to grow? Many times a business can grow faster using the franchise method instead of the company owned store model. The franchisor does not have the added responsibility of additional payroll as they do not pay the franchisee as they would an employee. Training may be the forte of the franchisor and they enjoy watching others succeed using their concept. A franchisor does not use his own capital to grow the brand.